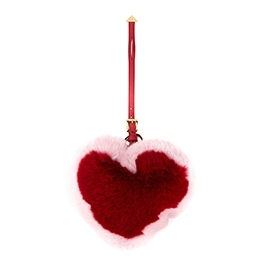 I LOVE bag accessories - this Prada heart plushie bag accessory (available at Farfetch) is the perfect Valentine's Day bag charm AND a lovely gift. This is the perfect Valentine's Day handbag charm to elevate your look and show everyone that you "care"! I'm not the kinda girl that wants a fancy dinner, at the "best" restaurant in town on Valentine's Day. I wanna relax at home, have a home cooked meal and drink wine.. BUT, I'm still gonna dress for the occasion and get in to the Valentine's Vibe. These t-shirts are perfect for an at-home Valentine's dinner or humble get-together. You can pair them with sweatpants at home, a feminine skirt for dinner at a chic restaurant or denim and an oversized cardigan for a casual dinner. This one is my favorite. 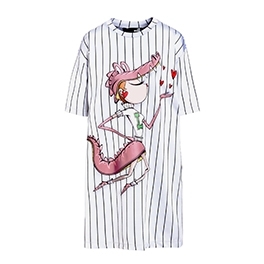 The Love Moschino t-shirt dress dons a woman wearing pink alligator and blowing kisses. It's odd and I LOVE it! The striped, cotton t-shirt gives this dress a sporty vibe and is perfect for a casual Valentine's Day soiree. 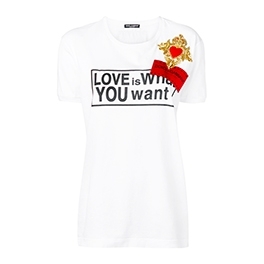 This Dolce & Gabbana Love Is What You Want t-shirt (available at Farfetch) is perfect for February 14th (the most sought after, I wanna be in love day of the year). The text is fitting and the pop of color aligns with the traditional Valentines's Day theme. 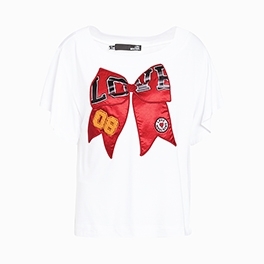 I WANT THIS ONE (hint hint)! 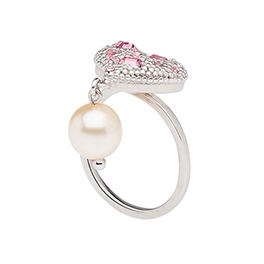 This MIU MIU heart embellished ring (available at MIU MIU) is gorgeous and a Valentine's Day gem. The silver ring is embellished with crystals and a dangling pearl. LOVE! 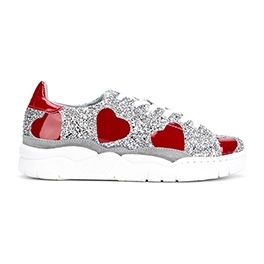 Chiara Ferragni glitter heart sneakers are stylish and fun. The silver and red heart glitter embellishments are perfect for Valentine's Day. Pair these sneakers with chic joggers or a t-shirt dress for an "I'm a fun, easy going kinda girl" Valentine's Day look.